As part of our commitment to fulfilling custom orders on our carbon block water filtration systems, CB Tech also fulfills customer water filter replacement orders. With every custom replacement water filter we produce, we maintain the same level of quality as our other product lines while using your original order specifications. Order your own custom water filter replacement today, designed to meet your specific water treatment needs. CB Tech’s organizational and manufacturing capabilities bring together superior performance with exceptional versatility, allowing us to fulfill both our regular product line orders as well as custom requests. Our Las Vegas, Nevada headquarters, hosting our administrative building, R&D laboratory, manufacturing center and assembly facilities, regularly fulfills custom orders and has developed efficient systems for bringing maximum customer satisfaction. Premium Grade Carbon: CB Tech uses carbon with industry-leading surface area, allowing the filter to make the greatest use of carbon’s adsorptive capacity. The greater surface area also extends the life of the cartridge, reducing the need for filter changes, thereby reducing the cost of ownership. 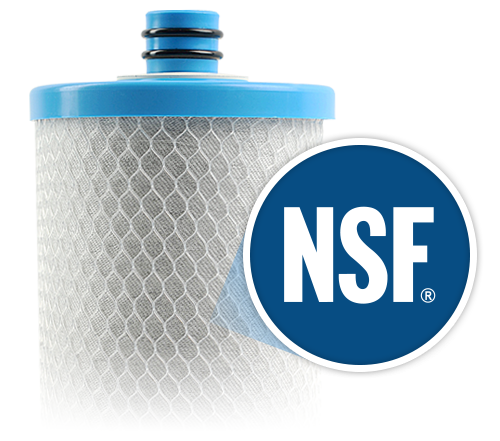 Multi-Factor Filtration Technology: Standard CB Tech filters use a combination of electrokinetic adsorption, physical adsorption and mechanical filtration to filter out the majority of contaminants. Hybrid Filtration Technology: As a specialist in custom drinking water filtration systems, CB Tech is able to integrate the latest filtration technology into our custom orders, producing high-performance hybrid filter products to meet customer performance goals. CB Tech’s proprietary Carbon Block technology offers incredible filtration results, reducing a broad range of both aesthetic and health-affecting contaminants. With over 45 years of manufacturing experience and 40 years producing carbon block technology, CB Tech has the expertise and resources needed to guarantee quality with every custom order, including our replacement custom water filters. By testing products to these standards, CB Tech ensures all products, including custom drinking water filtration systems, adhere to NSF regulations on most aesthetic and health-affecting water contaminants. Contact CB Tech to speak with a representative about your custom replacement water filters. 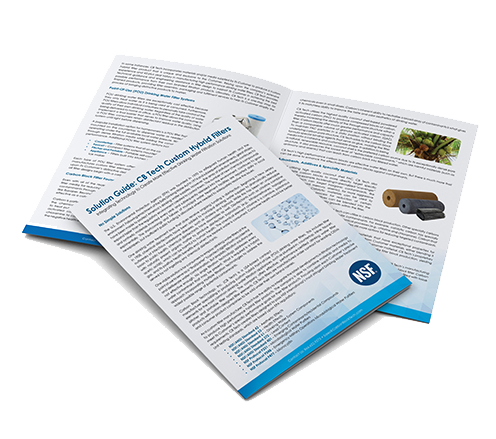 If you are interested in working with CB Tech to develop a custom hybrid filter for your specific needs, or if you would like additional information about our custom filter solutions for OEM customers, please review our full CB Tech Custom Hybrid Filters Solution Guide and contact us.